Jerry is of course, much better known for making his mark at United as Manager. He took the job in July 1959 and within a year he had led the Club from the depths of the Second Division to promotion into the top flight. He remained in charge for twelve years, during which time he transformed United into not only an established First Division side, but also a team who could take on the likes of Barcelona and Juventus as the Club qualified for Europe for the first time in its history. In 1971, at the age of 59, Kerr took the decision to retire, taking on the less involved role of general manager. In 1973 he quietly left the Club, and would later take on the managers position at Forfar Athletic for a short spell. 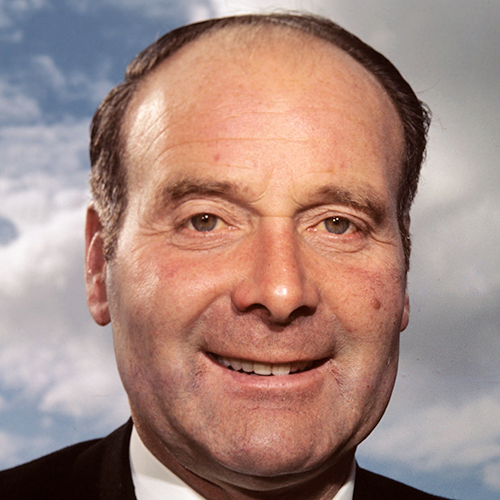 More than thirty years after retiring as United manager, the Club recognised the huge contribution Jerry had made when they renamed the south stand the Jerry Kerr Stand.